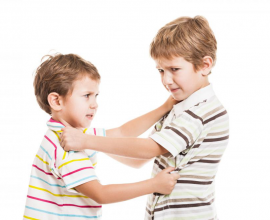 5 Ways Mindfulness Teach Kids Discipline? Are you struggling to teach your kids discipline? Are they misbehaving and not curbing their anger or frustration despite your continuous efforts? Maybe it is time to step back and think about your approach. The next time your kids misbehave or break any rules, instead of grounding them for a week, ask them to meditate. Ask them to think about their actions, why they were doing it and what the consequences of those actions are. If they are angry and frustrated, tell them to meditate instead of shouting at them. Practicing mindfulness is a relatively new method of inducing discipline in kids. 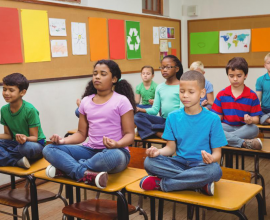 Some schools have let go of their traditional disciplinary methods and have opted for meditation instead of detention. The results of this change are great and reportedly more effective. Mindfulness helps kids to process their emotions in a healthy way. They learn to curb their anger and manage to control their frustration. If you are still not convinced of the benefits of mindfulness then keep reading. I have compiled a list of ways in which mindfulness helps kids learn discipline effectively. A person doesn’t care about their actions when they are frustrated or angry and practicing mindfulness regularly helps in combating that absent mindedness and replaces it with the sense of accountability. People are less likely to fall victim to anger management issues if they held themselves responsible for the consequences of their actions. Being responsible for their own actions through mindfulness, children are able to process negative emotions in a healthy way. Practicing mindfulness regularly helps in reducing anxiety and stress levels in individuals. Under most scenarios, stressful thoughts occur as a result of a person’s inability to process emotions and making peace with past and future. Mindfulness trains your brain to focus on the present moment, thereby eliminating the anxious thoughts about the uncertain future and unchangeable past. Mindfulness also helps in improving the cognitive abilities of children. It improves concentration and boosts the memory power. Children who regularly practice mindfulness are able to learn new concepts faster. These characteristics help them excel in school. Training the mind to focus on the present moment helps kids to eliminate external distractions and thus improves their cognitive abilities. Human beings have certain preconceived biases. These biases stem from the things, people and environment we are familiar with. It helps human beings build a survival and support mechanism but in certain cases these biases cloud our judgments. 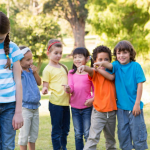 Children bully because they have preconceived biases about how a certain person should look and behave. When someone fails to conform to their bias of familiarity, they make him a target. Mindfulness helps remove these biases and helps kids to be more compassionate and kind towards others. Mindfulness teaches children patience and gives them control over their willpower. This helps them to stay at a distance from bad habits. Children who practice mindfulness are also less likely to curb to peer-pressure.